How to become a Project Management Ninja? 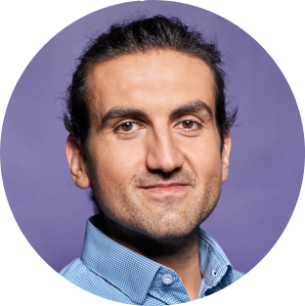 Nikolay Gevechanov is a Partnerships Specialist for Central and Eastern Europe at Viber. His role is focused on facilitating the creation of valuable and engaging content on the platform through strategic partnerships with brands from different industries, such as tech, music, sport, lifestyle, media, news outlets, fashion, food and more. By using Viber’s existing and upcoming products, he has strategized and executed holistic projects and campaigns with various user experience and brand goals, adding value to the Viber business, partners and end users. Nikolay is a Business Development expert with over 4 years of experience in the field, including various start-up stages. As a young professional, he has overseen and realized global projects and events with strong footprints in the spheres of technology, entrepreneurship, leadership, sustainability and education. Nikolay has a degree in Innovation & Entrepreneurship from the Copenhagen Business Academy, Denmark and a degree in International Marketing Management from the Roskilde Business Academy.